Mondays equal fresh new start. Positive mind set and hard work? And also… “never skip a Monday” is a typical workout mantra many have. How did i start my Monday…. well, first off the headache, tiredness and stomach ache that hit me Sunday afternoon was still present when the alarm rang 6am. Most of all i just wanted to turn off the alarm and the light and sleep… not ready for school work. However, as i had group work planned and i didn’t want to miss it, i got up, got ready and left. However.. half way to school my group decided that we should instead work from home and meet another day. Both relieved because of the stomach pain and general anxiety i was feeling but also slightly irritated over the fact that i had gotten up and gotten ready and it was just to head home again. Of course the positive thing was that i was now up and ready and had the whole (well half…) the day infront of me. I got home, sat down by my computer and together my group and I finished our group work. The hours flew by and my anxiety worsened and my stomach pain was not showing any signs of lessening. And soon i am headed off to work – still in a bubble of anxiety, tiredness and pain. So why am i writing this…? Well, to show you that we all have bad days. Recently i have been feeling so positive and have had very little anxiety. And also very little stomach pain. However stomach pain seems to just mess everything up… and it affects pretty much every part of life (or that is the case for me anyway). Many think that i am always motivated and hard working… and for the majority of the time yes. 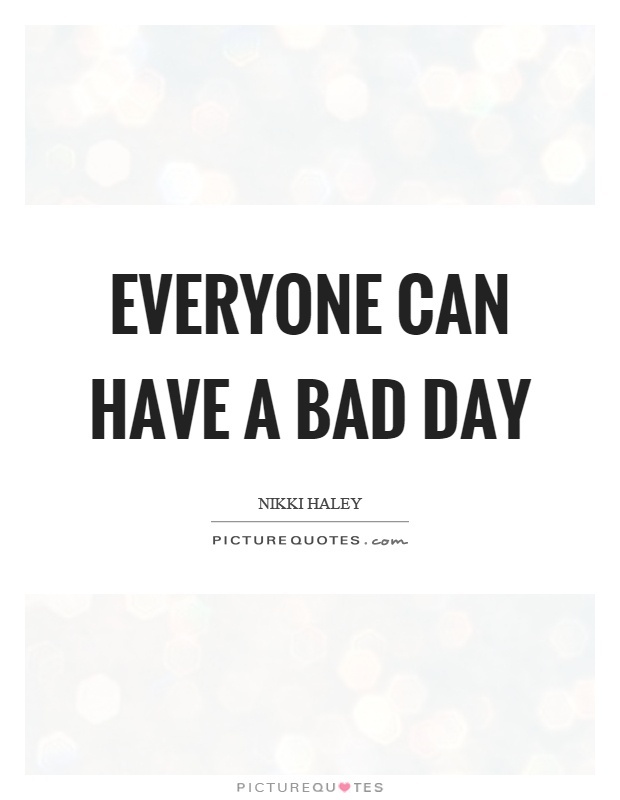 But we all have our bad days, and that is ok. When i tried to focus on studying – after my group assignment. I just couldn’t concentrate… what i had planned to be a super productive day with group work, own study, working out and then work has turned into a not so productive day. And that is ok.
And the same goes for the gym… i had planned to workout, but due to my stomach pain and general anxiety that just wasn’t something i felt like doing before work. And that is ok as well – i have other days to workout when i actually want to do it. Of course my goal is to turn this day around and think/feel more positive, and i am hoping that will happen at work. Usually when i work i can just turn off my thoughts and brain for a while and just focus on the tasks at work, and also get my mind off of my stomach pain. And then this evening – being able to jump back into bed will feel much better after knowing that i have finished my group work, got some studying done as well worked for a few hours. But even if all i did today was sleep and watch netflix, that would be ok as well. Not everyday has to be #workhard … it is infact ok to have days off and not do anything productive. And it is also ok to have bad days. Though, i wouldn’t recommend just wallowing in anxiety and bad mood either… instead, trying to cheer yourself up in someway. Going for a walk or in someway trying to reduce your anxiety and feel better. Hopefully tomorrow i wake up feeling better – physically and mentally. And this is just your reminder that it is ok to have bad times and bad days… just make sure to not stay in the bad days and bad mood! Previous Post Life update! School, life, health, climate change? Lately I'm having a rough time, I cry everyday and have so much anxiety. I can accept it's ok to have a bad day and not be as productive or focused, but when it's lots of days in a row it's harder. I'm trying my best to keep a balance between taking me-time, not feeling guilty about it, forcing me to work a bit and talking to people to address my problems. Sometimes its just the hardest thing to push yourself to at least make an effort to do things when you are having a bad day – but by doing so you nearly always feel better. You are so right when you say your state of mind affects how you feel physically! I read with interest that in Sweden you have daylight light boxes fitted on to your bus shelters to boost peoples mood as you have such few hours of real sunlight? And that 19 hours out of 24 are in darkness? Is this true?